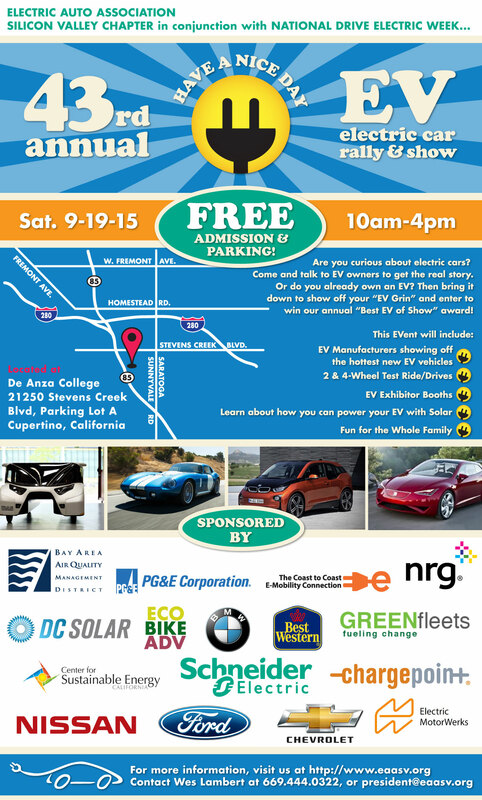 Come celebrate the weekend of National Drive Electric Week with the nation's LARGEST electric vehicle event on Saturday, September 19th, 2015 from 10 AM to 4 PM. If you want to be a Volunteer, please sign up here. Volunteers get a FREE T-shirt and FREE Lunch. We are expecting 1500-2000 guests. There are currently 454 attendees registered. Registered attendees report 2,585,398 electric miles driven.